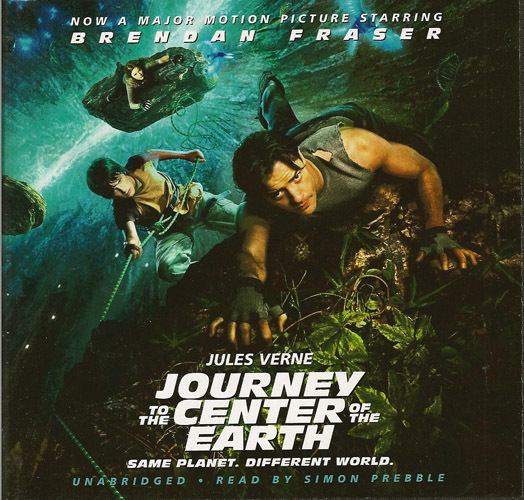 In listening to Jules Verne’s Journey to the Center of the Earth, I was struck by how much modern films like Raiders of the Lost Ark and National Treasure owe to this book. Although it was written way back in 1864, while the War Between the States was in full swing and the earth was a very different place, in many ways its thoroughly modern, at home alongside recent sci-fi novels like John Crichton’s Jurassic Park. In summary, Journey to the Center of the Earth is a fast-paced and lively pseudo science/exploration story that manages to be mostly interesting and entertaining. Unfortunately, it also crosses over into unbelievable territory about three-quarters of the way through and ends with a classic deux-ex-machina, but I found I can live with it. Journey to the Center of the Earth takes aim at the theory that the earth grows hotter the nearer that you travel to its center. Verne posits the idea that the earth’s core is inhabitable and houses massive cavities, caverns so huge that you cannot see their roof. At its center is a sea large enough that you can travel across its and lose sight of land all around. Science has of course since proven this idea impossible, but it makes for a fun story if you divorce it from reality. 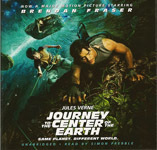 Journey to the Center of Earth has a compelling opening that reminded me of The DaVinci Code–Professor Liedenbrock and his nephew Axel, the heroes of the story, find a coded note written in runes within the pages of an Icelandic saga. They puzzle through it and discover that it is a note written by Arne Saknussemm describing a passage he has found to the center of the earth. The opening is located in the interior of a dormant volcano in Iceland. Liedenbrock and Axel recruit an Icelandic guide and the three men embark on their journey. I found Verne’s descriptions of overland and sea travel to Iceland interesting, and the first scenes of the descent fascinating. Verne vividly portrays the vast depths and terrifying downward drops of the volcano draft, and creates excitement and dread in two sequences in which Axel gets lost in the inky blackness and the three men nearly die of thirst. Unfortunately I thought that the tale started to unravel once the men near the earth’s center, which contains ice age creatures, dinosaurs, and even early men. If the story didn’t literally jump a shark it certainly started to lose me once Liedenbrock and Axel’s small boat passes very nearly over an Ichthyosaurus. I was also puzzled with the abrupt ending–Liedenbrock and Axel gain great fame from their expedition, while others treat their claims with skepticism. But, inexplicably, no one ever bothers to re-trace their footsteps and verify their claims. Still, you could do worse than pass the time by giving it the book a listen. It’s also skillfully read by English-accented, professorial-sounding narrator Simon Prebble. I must have read this as a kid, it seems really familiar.